The 8L61 surface-mount economy DIP reed relay series from Coto features available coil voltage options of 5VDC and 12VDC with a switching voltage of 100V and switching current of 0.25A. 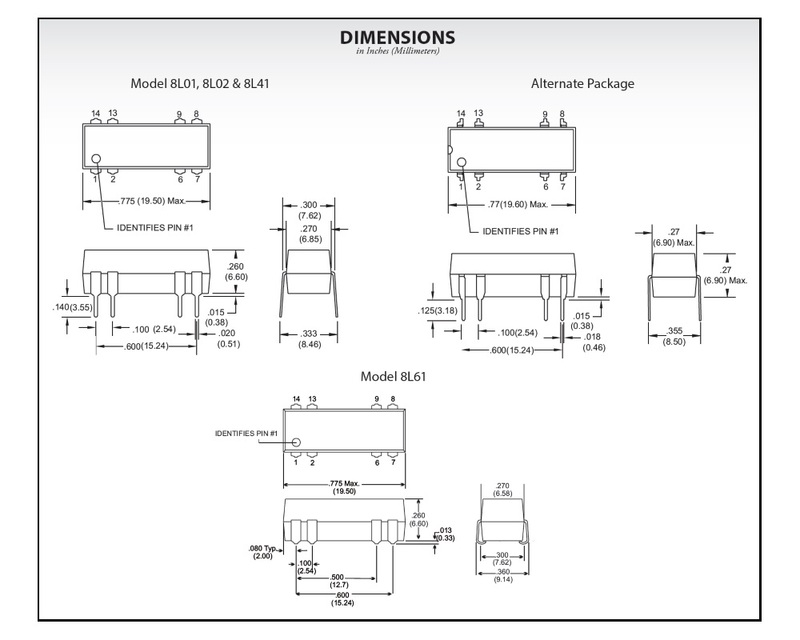 The 8L61 series is designed as a drop-in low cost replacement for industry standard DIP packages with a moulded thermostat body on integral lead frame design, hermetically sealed contacts, with optional electrostatic shield and coil suppression diode. 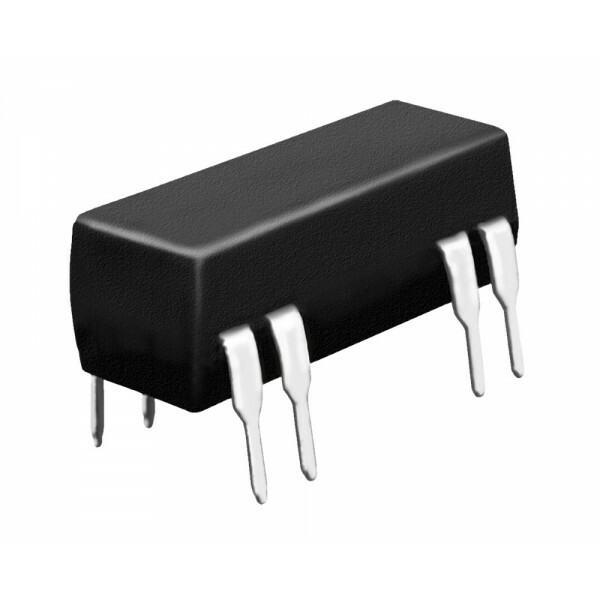 The 8L61 series is ideally suited to the needs of telecom, security and other general purpose applications. This product is compliant to the RoHS EU directive 2011/65/EU, but not Pb free using exemption 7(a) "Lead in high melting temperature type solders (i.e. 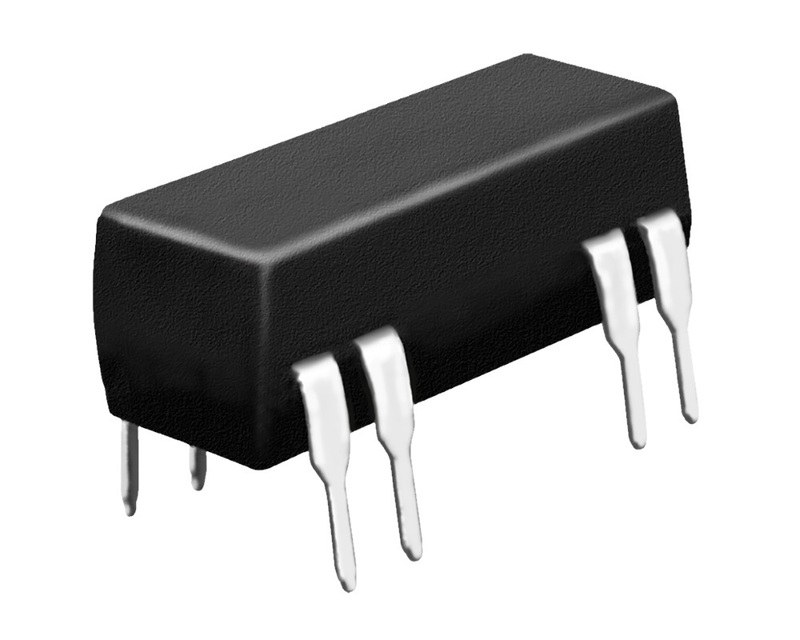 lead-based alloys containing 85% by weight or more lead)"
The 8L02 surface-mount economy DIP reed relay series from Coto features available coil voltage options of 5VDC, 12VDC and 24VDC with a switching voltage of 200V and switching current of 0.5A. The 8L02 series is designed as a drop-in low cost replacement for industry standard DIP packages with a moulded thermostat body on integral lead frame design, hermetically sealed contacts, with optional electrostatic shield and coil suppression diode. The ..